The new MLS season is only three weeks old but we’re already entering a bye week. That may or may not be a good thing for Vancouver Whitecaps, who have slumped to their worst ever start to a MLS season. But are the signs of turning it around there? 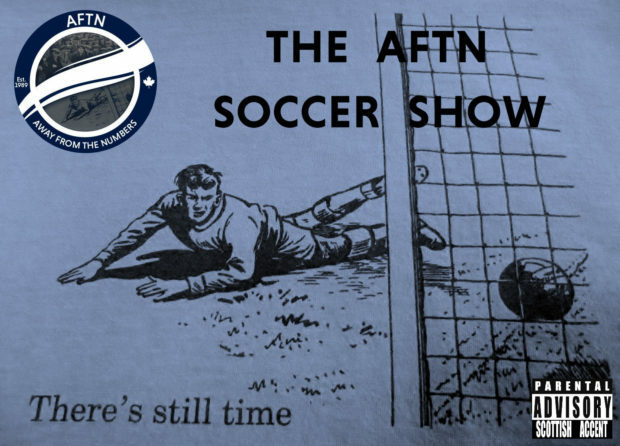 That’s one of the many things we look at in this latest AFTN Soccer Show. We pick over the bones of another defeat, as the ‘Caps lose 3-2 in Houston. There’s another controversial penalty to discuss, and some less than stellar player, passing, and penetrative performances. With an international break looming, the action continues in Vancouver as the Canadian men’s national team come to town. We look ahead to Sunday’s CONCACAF Nations League qualifier with French Guiana, the make up of the squad and how they may be utilised, and we hear from head coach John Herdman about the match, the Gold Cup, and the state of the program right now. Plus we look at the weekend’s action in the MLS Western Conference, chat about the poor MLS crowds we’re seeing around the league, and this week’s Wavelength is from Halftime Oranges. Or after all that, you could just listen on the player below!